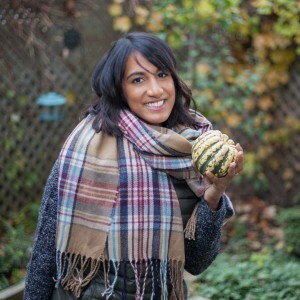 Try this yummy vegan Hawaiian Poke recipe, with pineapple, orange, lime and sesame seasoning. 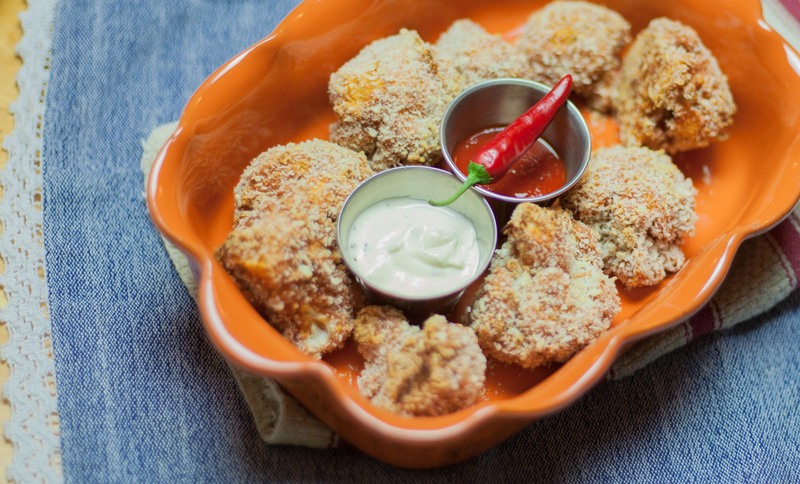 A playful dish that will tickle your tongue with umami and sweet citrus flavours! It’s a Hawaiian twist on your favourite healthy rice bowl. Poke is a Hawaiian fish salad, the word itself means to slice, or section, a piece of fish. The fish is then seasoned and served over rice with some other accompaniments. Poke has been growing in popularity in North America – Montreal opened a few new Poke restaurants this year. Due to my vegetarian tendencies, I’ve never tried the original fish version, but I have tasted various vegetarian versions made with tofu. 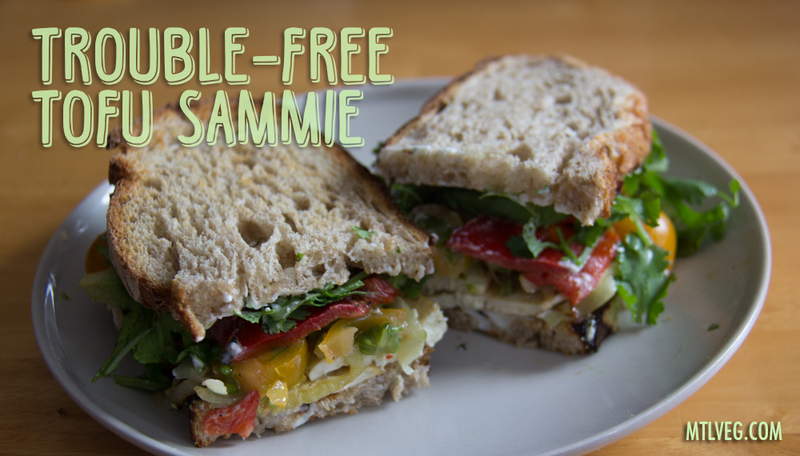 I can’t compare to the fish, but I can certainly vouch for the vegan version which is just plain delectable. 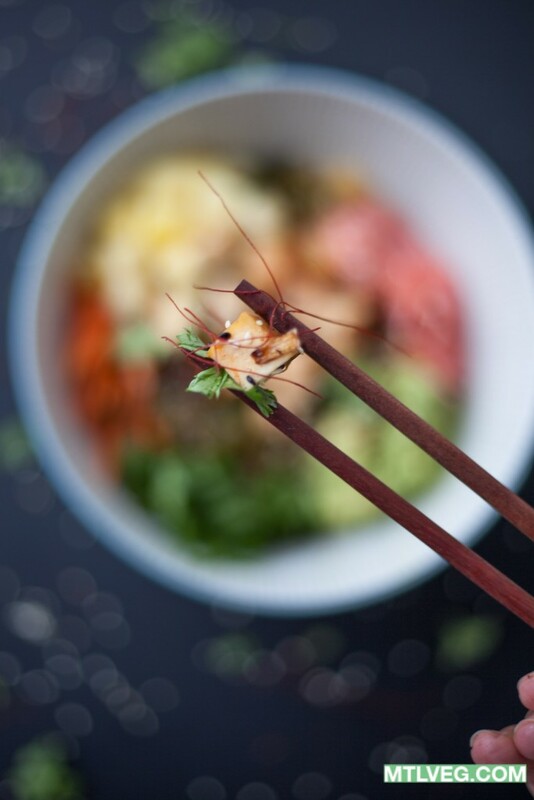 Something about the mix of citrus, soy sauce and pineapple: think Japanese cuisine meet Hawaii’s tropical fruits. I can’t truly call it Poke since there is no fish but I think it’s fair to say it is Poke inspired. 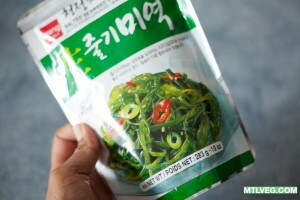 I’ve chosen to use smoked tofu to replicate the taste of smoked fish and seaweed to add the fishy aroma. I’ve also boosted the flavouring of the classic Poke sauce by adding freshly squeezed orange juice, lime, agave syrup and ginger. The rice bowl before you top it up tofu and accompaniments. 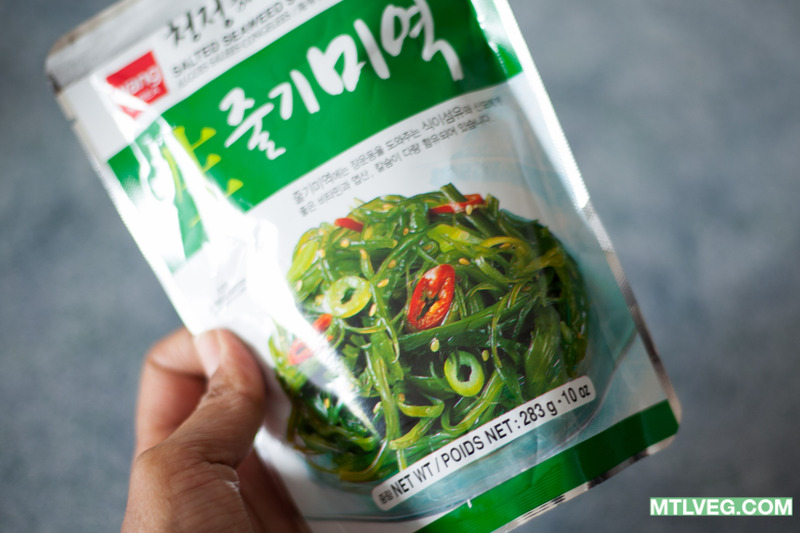 The seaweed brand that I used for this recipe from a Korean/Japanese grocery store. 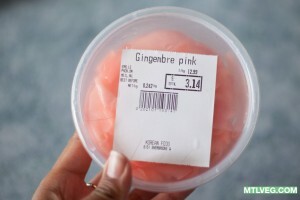 Pickled ginger is a must! This is not something you’ll find at an Asian grocer but more likely in the health food section of your popular grocery store. 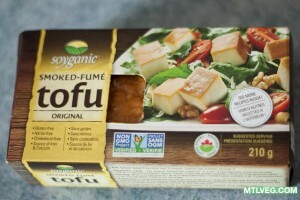 Soyganic brand by Sunrise foods is my favourite smoked tofu brand, available in Canada. 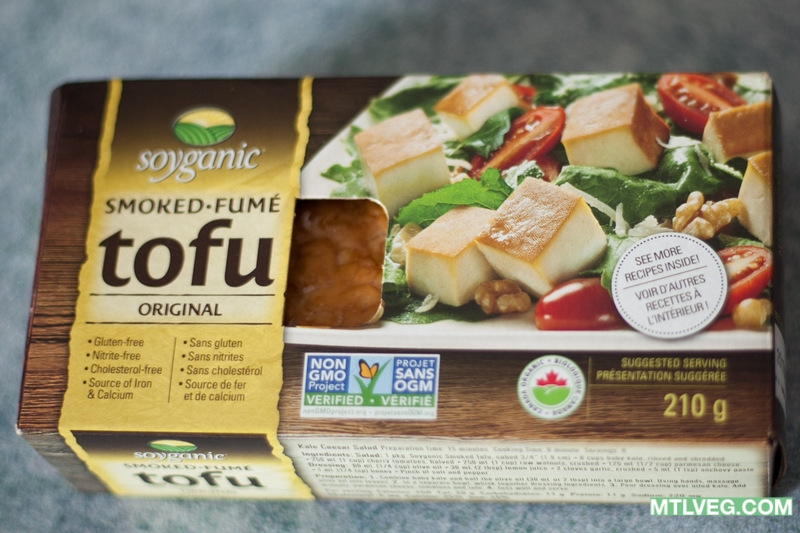 If you cannot find this smoked tofu then you can use regular tofu instead. 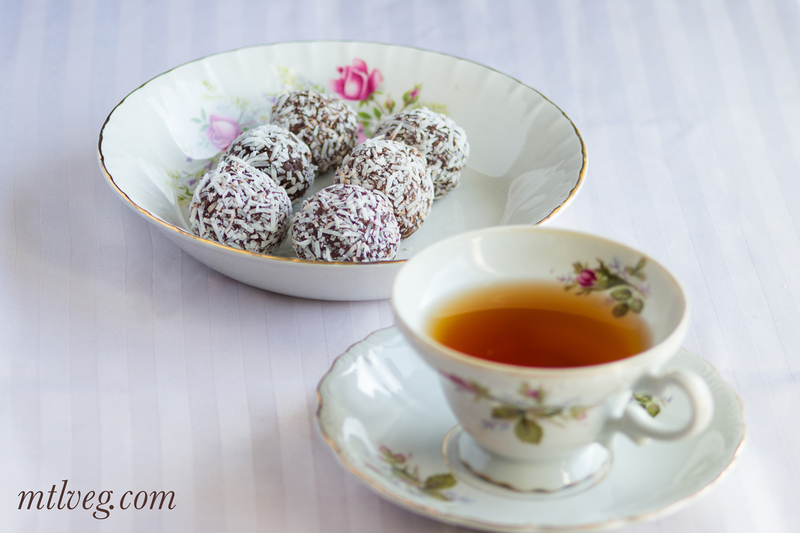 This is really a fabulous recipe so please enjoy! Cut tofu into small half inch cubes. 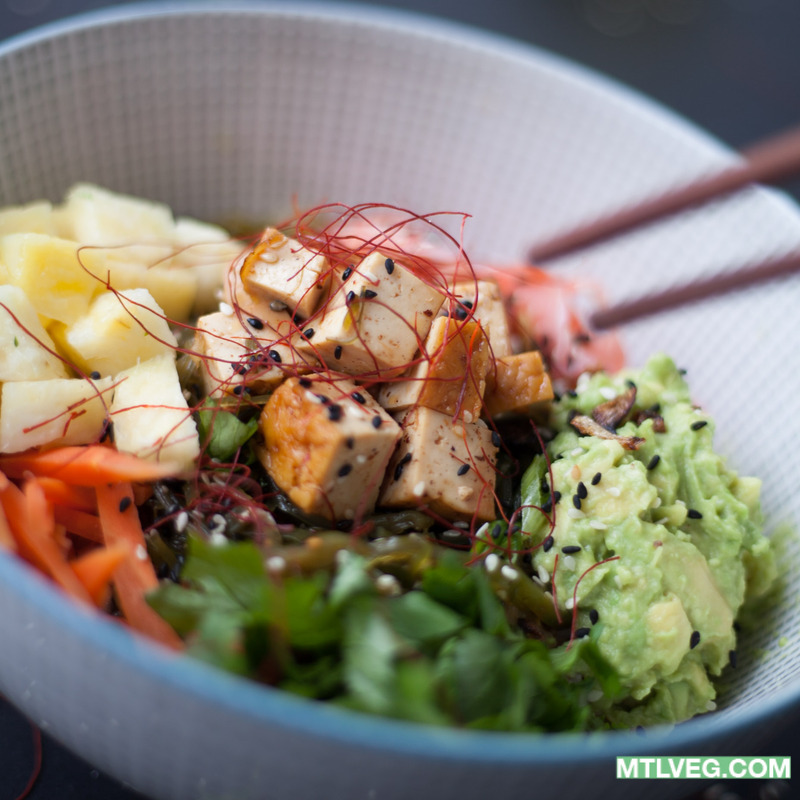 In a medium bowl, whisk together all liquid marinade ingredients, mix in tofu, let rest for 1 hour. Do not discard the marinade. 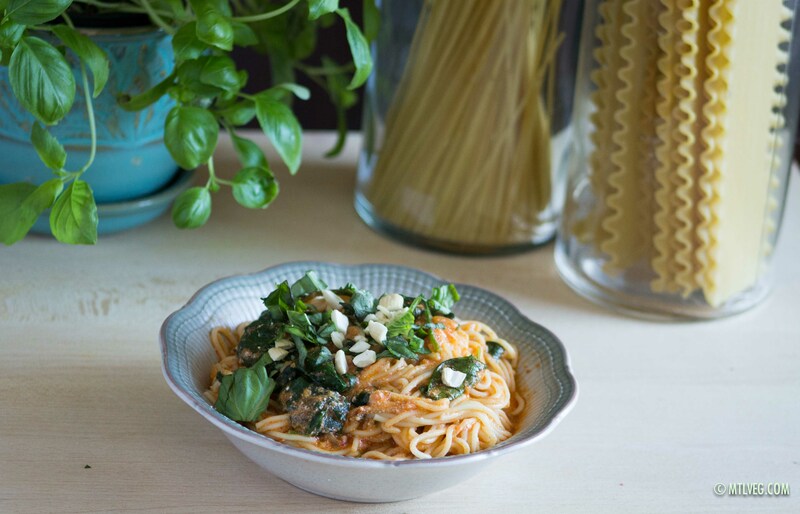 Whisk all sauce ingredients together in a bowl, set aside. Bring a small pot of water to a boil, lower heat, add edamame, cook for five minutes, drain and set aside. Blanch carrots to soften them slightly. *Microwave “cheat” method: Microwave the carrots for one minute and the edamame separately for two-three minutes. Rinse seaweed with cold water to remove salt. Place seaweed in a bowl and mix in left over tofu marinade for seasoning. 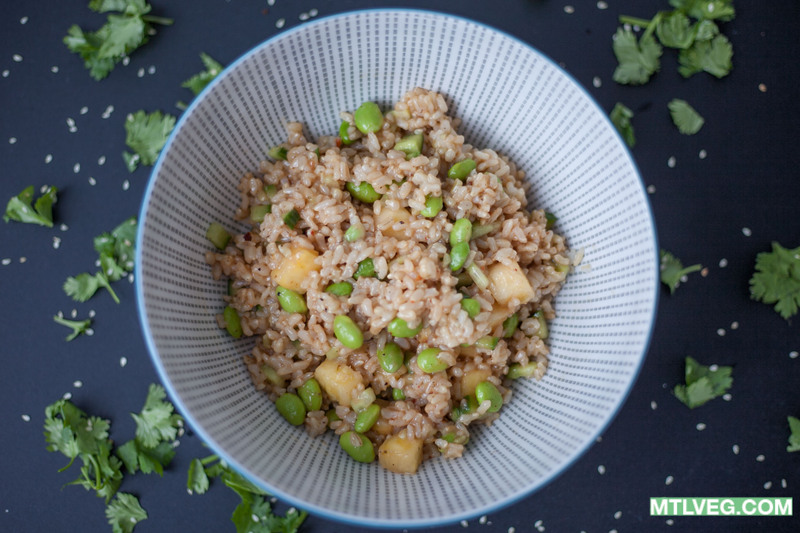 Divide rice, pineapple, edamame and sauce amongst three large bowls or four small bowls and mix well. A large portion contains 2/3rd of a cup of rice versus the smaller bowl which contains 1/2 cup of rice. 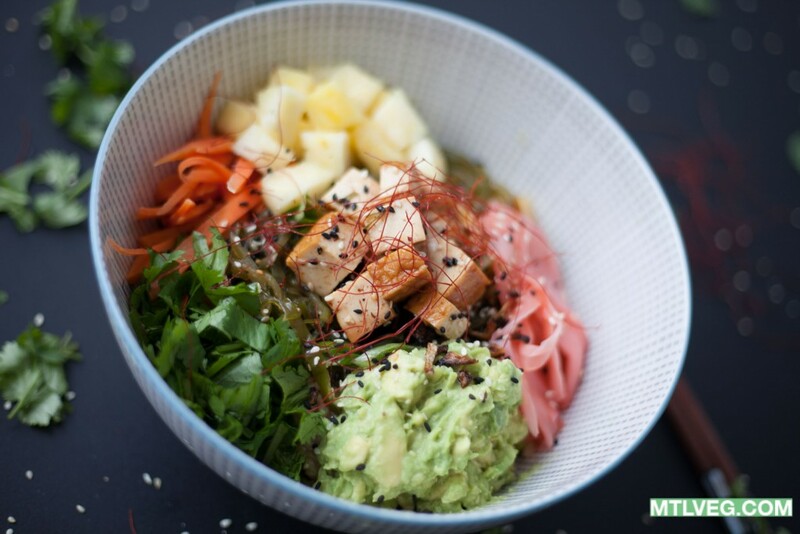 Divide all remaining ingredients (carrots, seaweed, avocado, pickled ginger, cilantro) into equal portion among your bowls. Top with sesame seed and chilli peppers.